Air drying is the correct and ONLY practice that should be followed, but leaving a glass to dry on a shelf can take up to 40 minutes!.. The Airack has been developed to greatly reduce the turnaround time from washing to use. The inside of a glass is the part of the glass that takes the longest to dry. 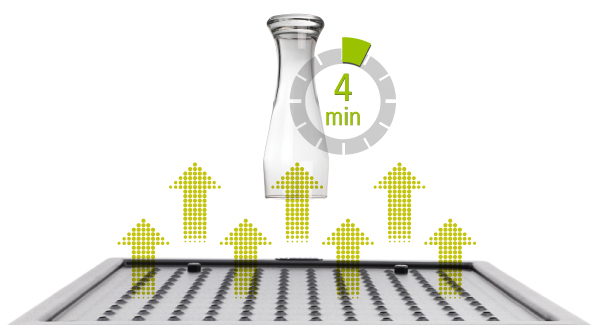 The whole drying process using an Airack can take as little as just 4 minutes! 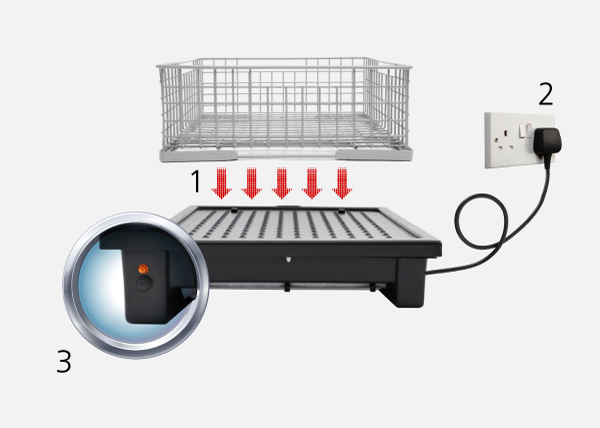 The Airack Standard comes in three different sizes, to suit all glasswasher basket types. 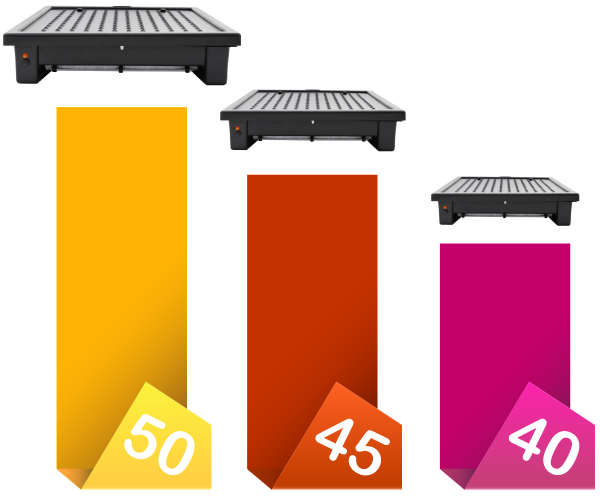 The smallest is the Airack 40 which accommodates a basket up to 40cm sq, then the Airack 45 which takes a basket measuring up to 45cm sq and finally the largest of the three, the Airack 50 which can hold a basket that measures up to 50cm sq. The ‘usual’ method in Bars for drying glasses is with a cloth or towel, or even air drying on what could be a damp, dirty shelf. 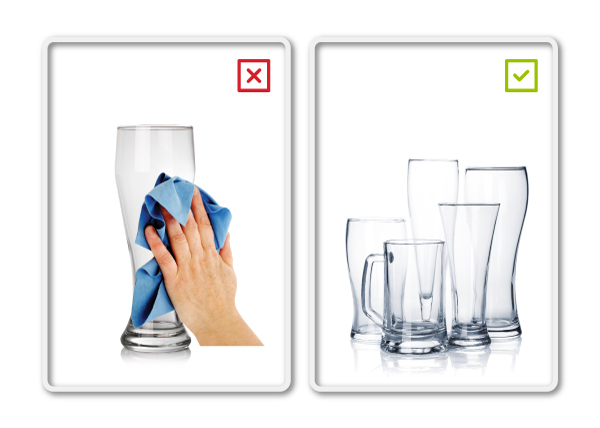 Using a cloth or towel to dry a glass can be a means of cross-contamination from glass to glass, especially if the towel has been laundered with fabric softener. The Airack Standard is simple to install and use. The Airack Standard comes supplied with a 3 pin plug which can go into any 3 pin socket. It's easy to use as they only have one control - the ‘Start’ button. Remove the glass basket from the glasswasher, place it on top of the Airack and hit start...Simple! The Airack Standard can accommodate a glass basket measuring up to 50cm sq, which means they can be used with baskets from the smallest to the largest under-counter glasswasher. 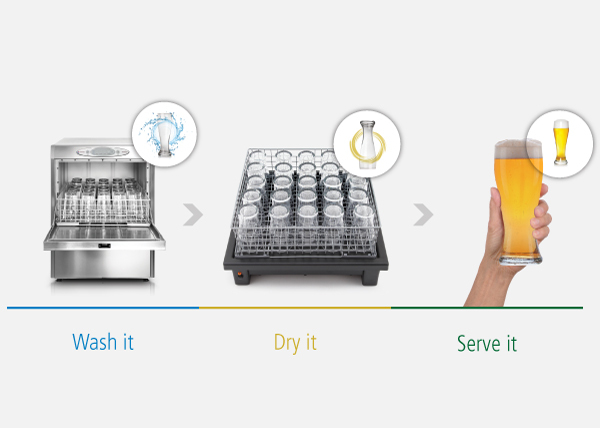 The Airack Standard can dry up to 30 pint glasses in as little as 4 minutes! Do away with tea towels and paper towels and simply place the glass basket onto the Airack glass dryer and let it work its magic. The Airack doesn’t dry the glasses using warm air, the unit simply draws in the air at room temperature or ‘ambient’ and the air action then cools the glasses as they dry, which allows you to use them quickly and pour the perfect pint.